Whether you are the ultimate hostess or a newbie when it comes to throwing a party in Bismarck, ND, Kaity Kakes can help you add the "WOW" factor to your fabulous event. 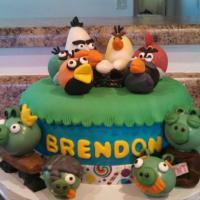 Take a birthday party for example - eyes will pop with delight as you bring out one of our birthday cakes colorfully decorated to match your party theme. But the real cheering will happen the minute they take a bite. Weddings won't take a backseat to parties. The lavishly decorated multi-tiered cake will attract the attention of all the reception guests, but the real amazement will come as they devour every tasty morsel. 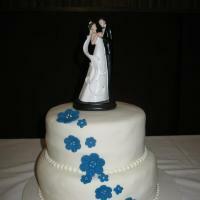 SO what are you waiting for, take your event up-a-notch with one of our wedding cakes, party cakes or desserts. 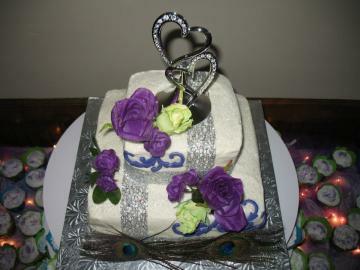 Let us design the wedding cake of your dreams! It's your special day, therefore, everything must be absolutely ideal. You will remember this day forever. All the details matter, especially your wedding cake. Kaity Kakes wants to create a wedding cake that is exactly how you envision. We'll do our part to make your day even more special. Cake Pops are bite-size balls of cake turned into chocolate art. 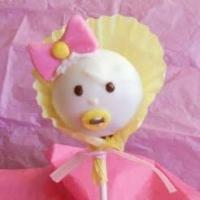 Let us design unique Cake Pops for your party or event. We can even do a Cake Pop basket and deliver it as a Get Well or Happy Birthday gift. 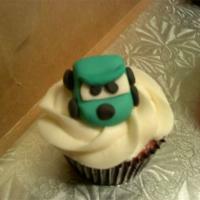 Check out the various types of Cake Pops we offer, everything from holiday to cartoon characters. We can do it all! Kaity Kakes is now baking and creating cookie bouquets and baskets. My cookies are thick buttery sugar cookies that can be decorated specifically for you with a yummy sculpted chocolate. These cookies are my artist canvas and the end result is a designer piece of edible art. 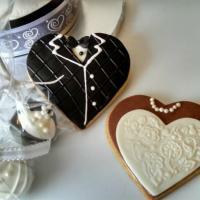 These cookies can be custom designed for you for any occasion. Allow me to create cookies for your next event or to deliver to your clients. Call today or Contact Us for an order or consultation.